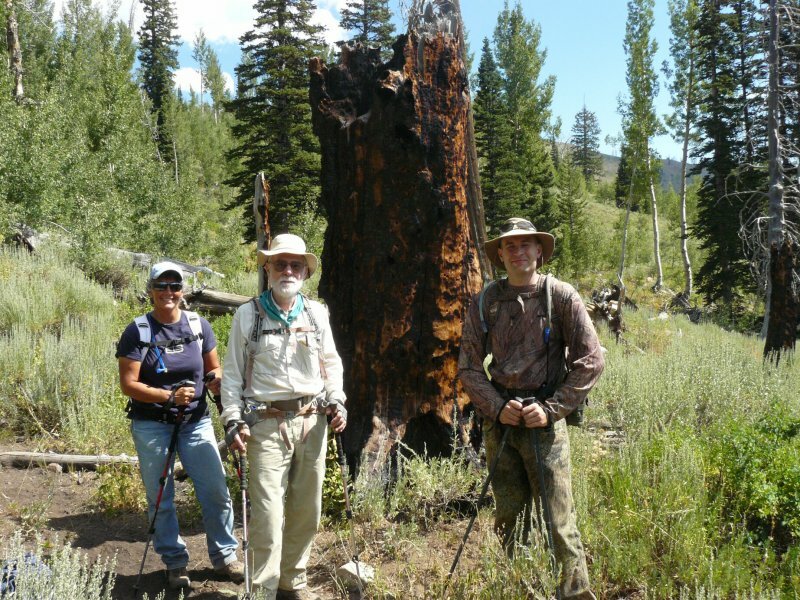 Four strong hikers, Dave P., Terry, Ben and Dan (the hike leader) braved this seldom-traveled route to the ridge near Mt. Gog. After a long drive from Logan, they headed north on the White Pine trail, about 9:20. The group turned east on the White Pine trail, then "bushwhacked" off-trail to the north until reaching an old non-maintained trail. After lunch here, they headed west toward the ridge, bushwhacking again as the old trail became indiscernible. 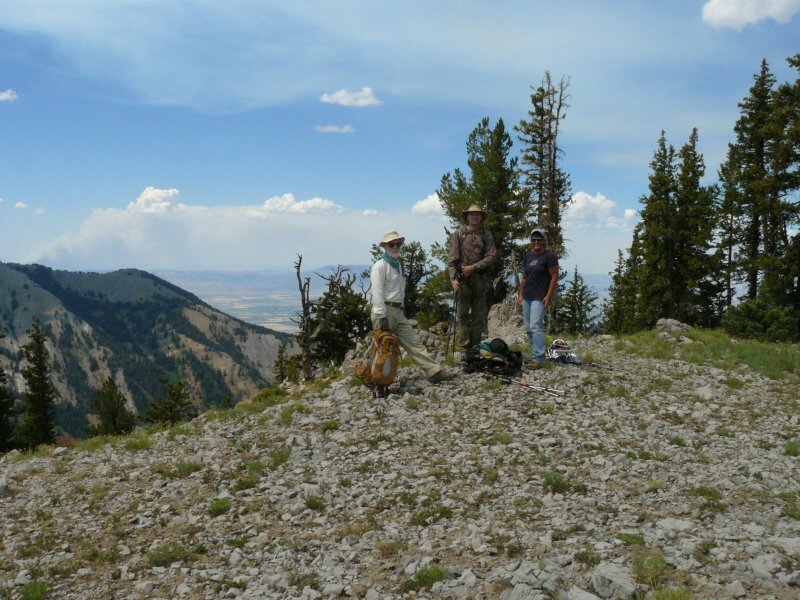 Upon reaching the ridge, the group enjoyed good views of Cache Valley, Logan Canyon and the High Creek drainage before returning by (more or less) the same way. On the return trip they found a fire burning near White Pine Creek. An abandoned campfire had burned a nearby tree and was threatening to spread so they used their water bottles to dip water from the creek and douse the flames. About 6:00 they arrived at Tony Grove, with a Logan return by 7:00. The hike took nearly 9 hours, as expected, with a total distance of 12.5 miles and about 2800 feet of elevation gain. The weather was pleasant, sunny with a few clouds.